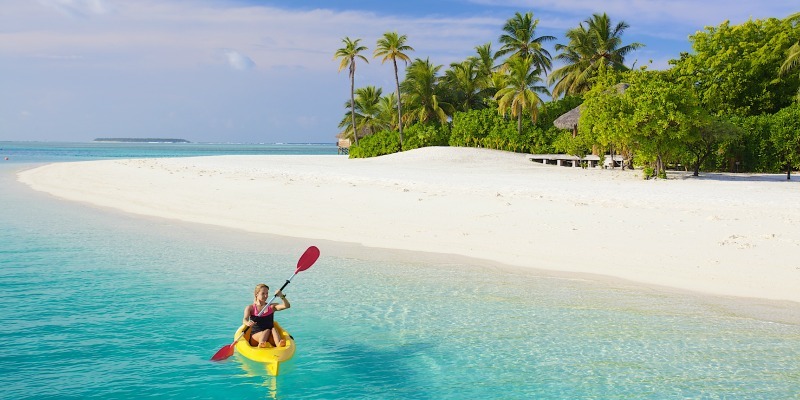 Enjoy the most amazing and fun week at Conrad Maldives Rangali Island with your kids. 150m² two bedroom villa with whirlpool, near the Spa Retreat. Ideal for families with older children or friends travelling together, these two-bedroom Family Water Villas measure 150sq m/1614.6 sq. 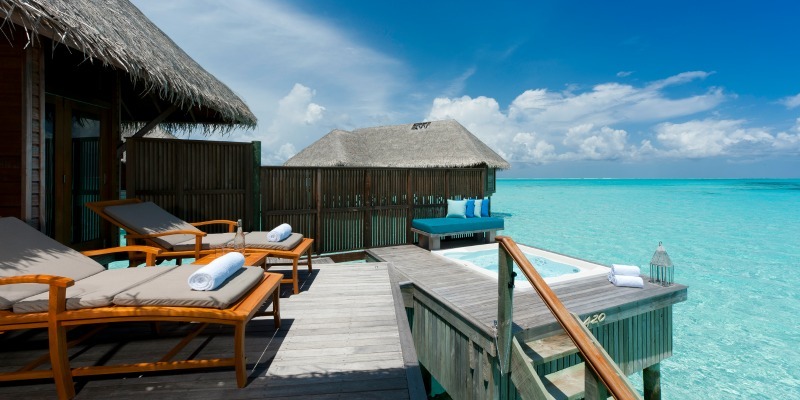 ft. and are set on stilts in a private part of the resort’s lagoon. Located near the Spa Retreat – one of two spas at the resort – each villa has a king bed master bedroom and separate twin-bed bedroom. 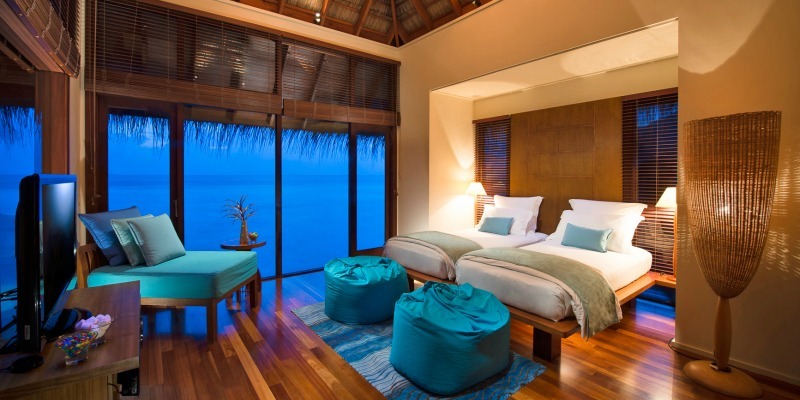 Their spacious design blends contemporary Maldivian style in a natural harmony of wooden interiors, thatched roofs and a breezy indoor outdoor feel. The ocean is always in view allowing guests to feel at one with nature. The spacious bathroom includes dressing area with day bed and bathtub with ocean views and rain shower. On the private sundeck is a large whirlpool bath and steps leading directly into the lagoon. Maximum occupancy 4 guests. 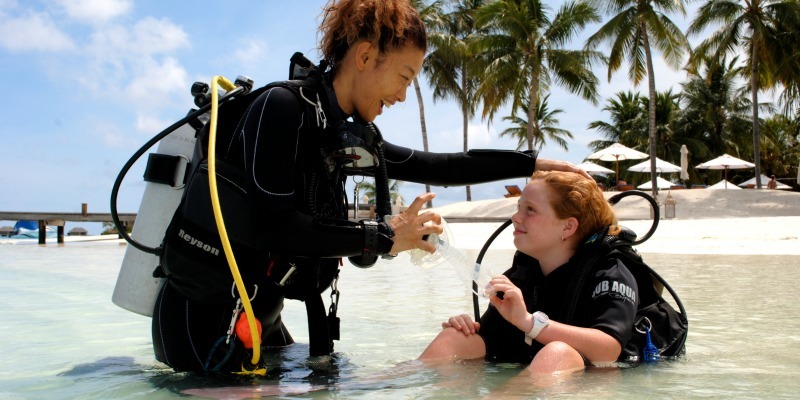 Your kids will learn how to discover nature and how to interact with the unique sea life at Maldives coral reefs. Our Majaa kids’ club is free to children aged 3 to 12 and open all day every day (contact us and We will send you the “Daily Program for Cool Kids”. Your family will love this restaurant! Have an extraordinary lunch with views! 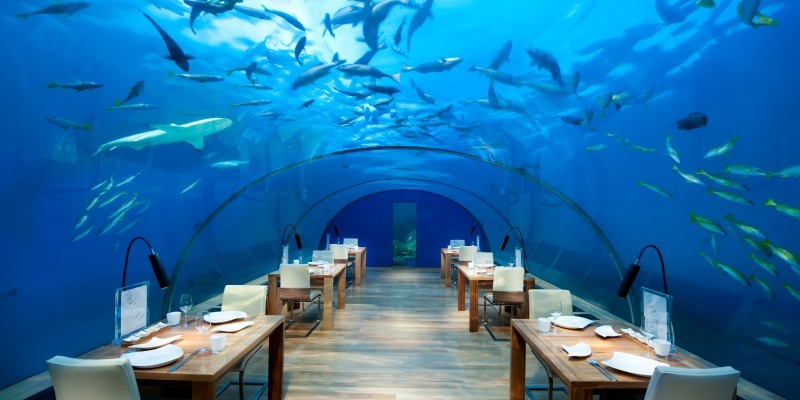 Set five metres below the surface with 180-degrees of panoramic views of the vibrant coral gardens surrounding it, Ithaa (meaning ‘mother of pearl’ in the Maldivian language of Dihevi) serves contemporary European cuisine in a six-course set dinner menu matched by a wine concept dedicated to Champagne. Expect indulgences such as caviar for dinner while the four-course lunch menu offers lighter fare. Also open for mid-morning cocktails and can be booked privately for breakfast, weddings or other special occasions. length Travel itineray hightlights Family Water Villa, Discover snorkelling, Kids, Diving, Cinema Under the Stars, Luxury lucky dolphin, Water Sports at the Watersports Center, Children's Activities, Lunch at Underwater Restaurant	Your journey will be a private, customized travel experience, based on your individual schedule, interests and budget.